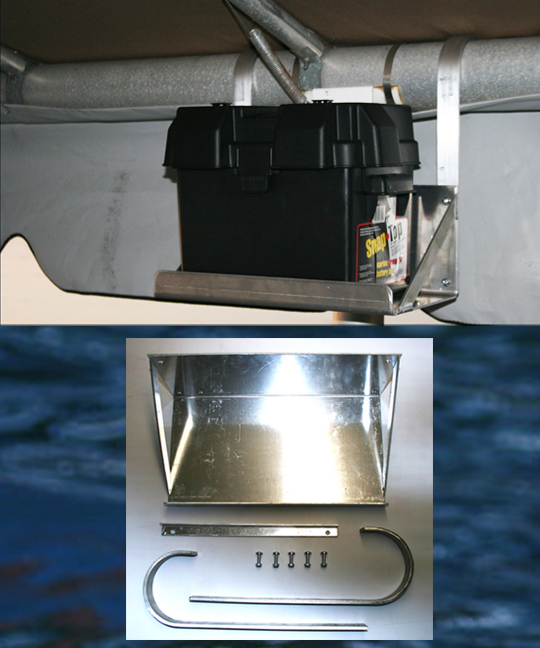 The powerful 30 watt 12 volt Boat Lift Charging System is for designed for heavy boat lifts and smaller boat lifts that are used frequently. 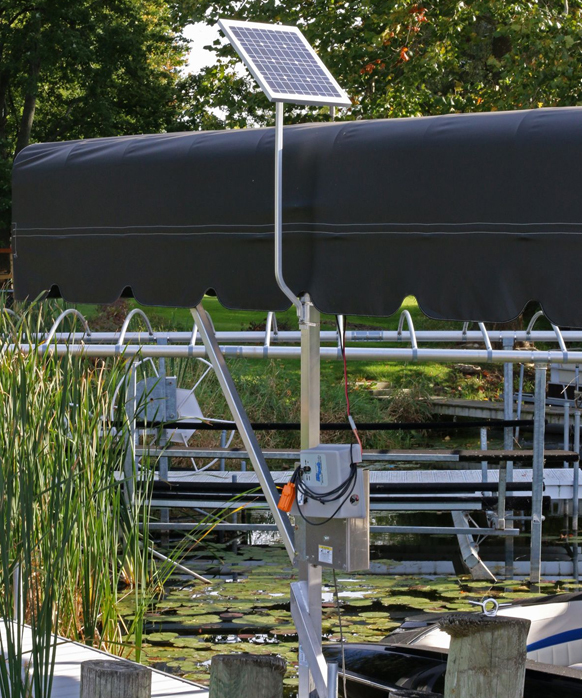 It can charge systems designed for boats up to 10,000 pounds and is recommended for frequent or daily boaters. 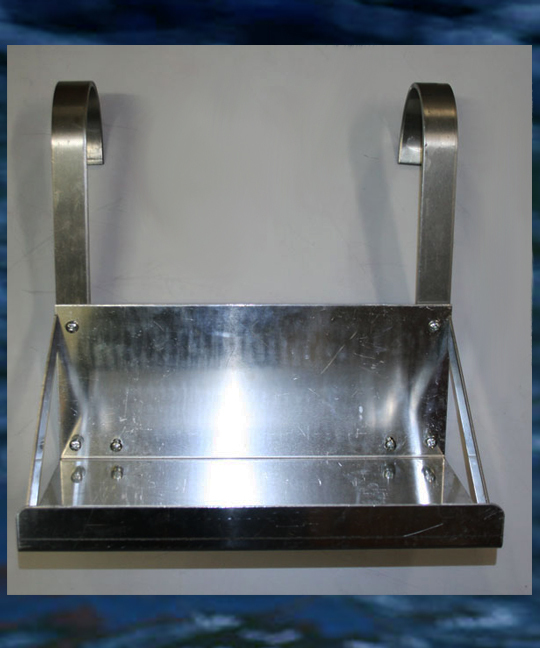 This system is sold alone or with either one dual universal tray or dual hanging tray for an additional discounted charge. The additional solar power captured by the larger panel means better performance even on cloudy days. 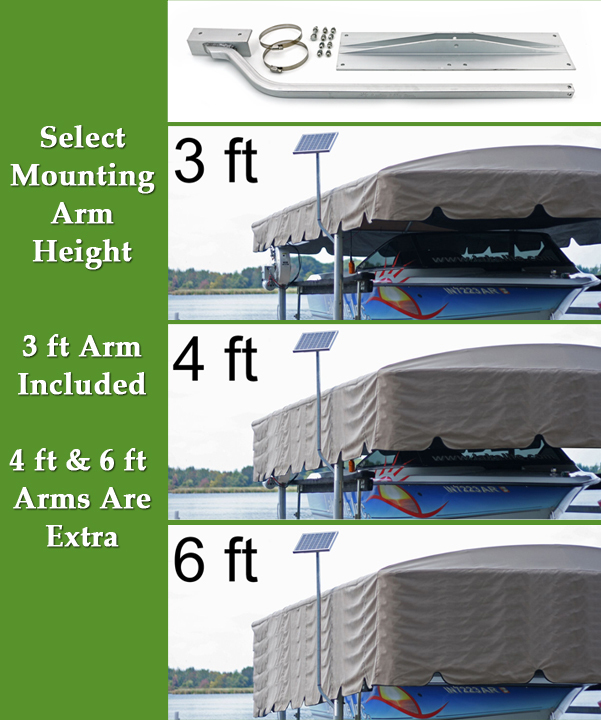 Strong and high quality panels will keep your boat lift battery in top condition so DC lift motor have appropriate power to reliably raise and lower your boat. 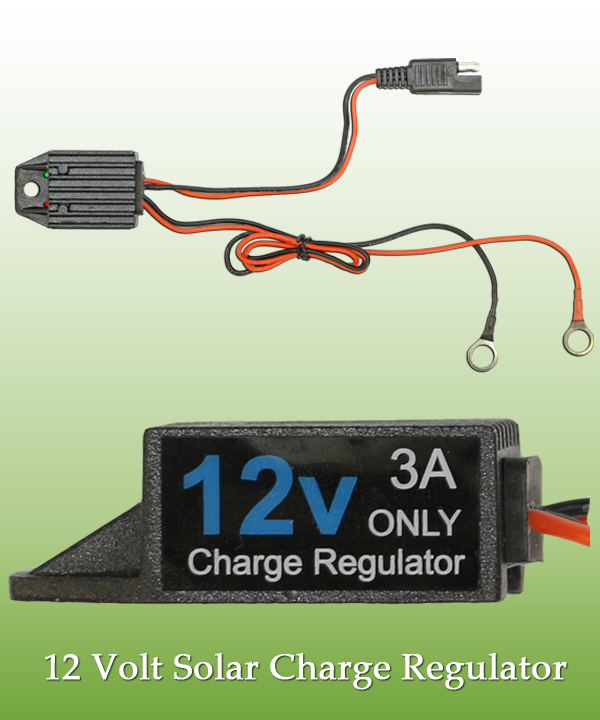 Free 12v 5A Solar Charge Regulator with LED Status Indicators is standard with this product. 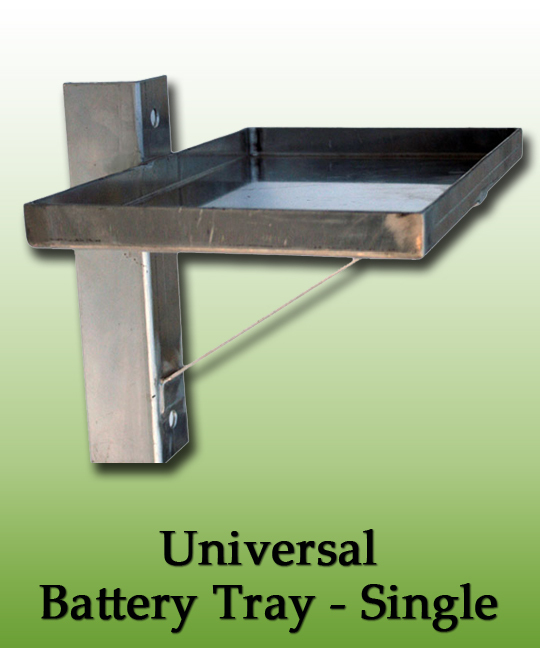 Detailed electrical specifications for this product are provided at the bottom of this page. Why Use a Solar Controller/Regulator? The the 30 watt / 12 Volt Solar Marine Charger Kit comes with a free Solar Charge Regularo with LED status regulators. IT in necessary to prevent damage to batteries by preventing too much solar energy from reaching the battery, which can happen if the batteries are not used for an extended period of time. 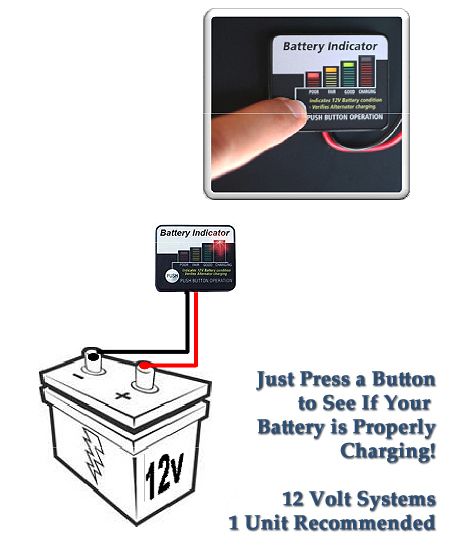 The Charge Regulator also lets you see the charge and the speed at which the battery is charging so that you know when the battery is charged enough for its intended purpose. 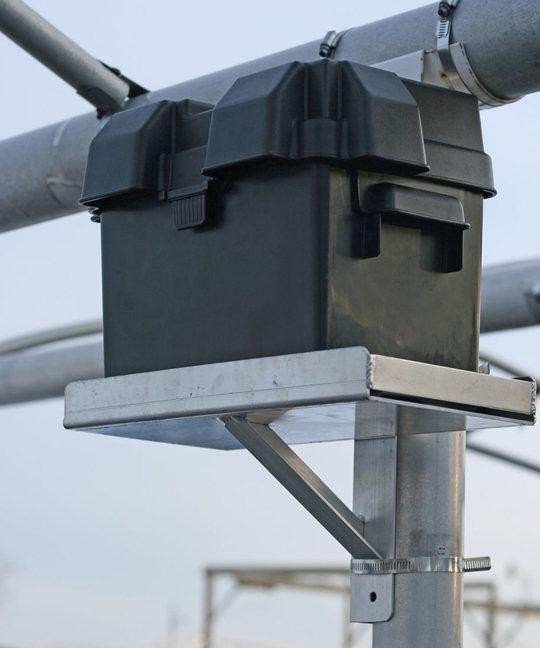 Without a solar regulator, it is possible that too much solar power could reach and damage the battery and any connected systems. 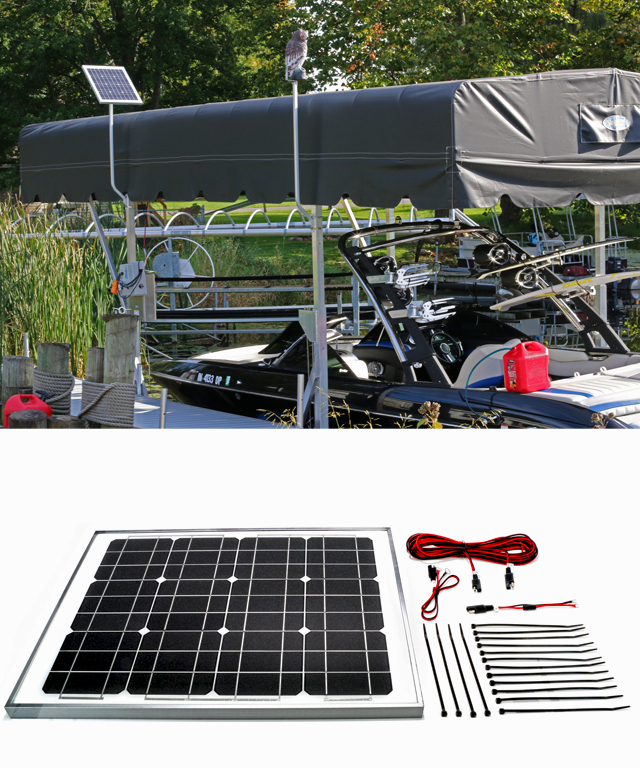 The combination of the powerful 30 watt solar panel and the smart charge controller/regulator makes sure your ready to hit the water without worrying about weak or dead batteries. The smart controller has an advanced microprocessor that can boost charging performance by up to 50 percent. In addition, you'll always know the status of the charge and battery through an easy to read LED indicator light, and always lets you know the status of the charge and the battery with a convenient LED indicator light.